Skype has been my absolute favorite classroom tool this year. 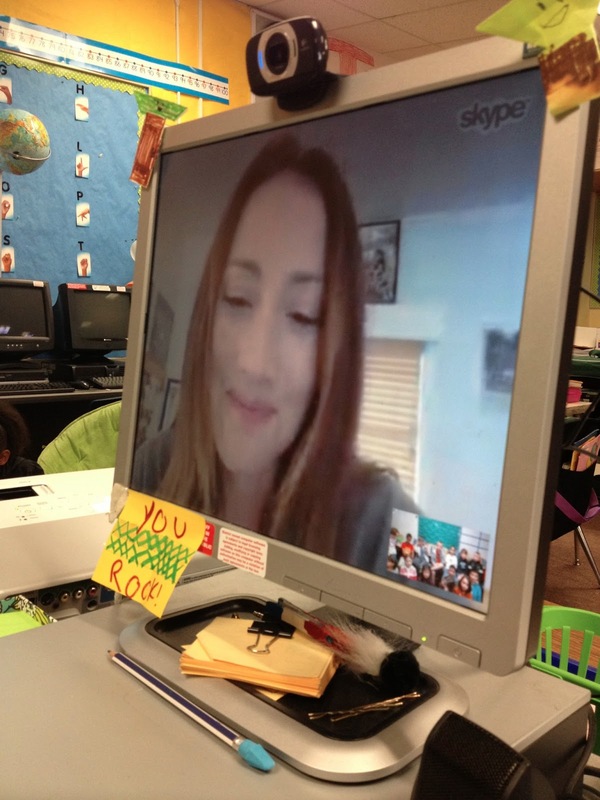 With 50,000 teachers strong, it's no secret that educators love using Skype. 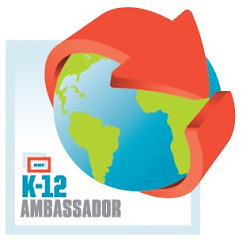 This year, Skype has connected my students with several authors, experts, and dozens of classrooms from around the globe. We've shared favorite books, trivia, and many funny stories about our classroom with our new friends. 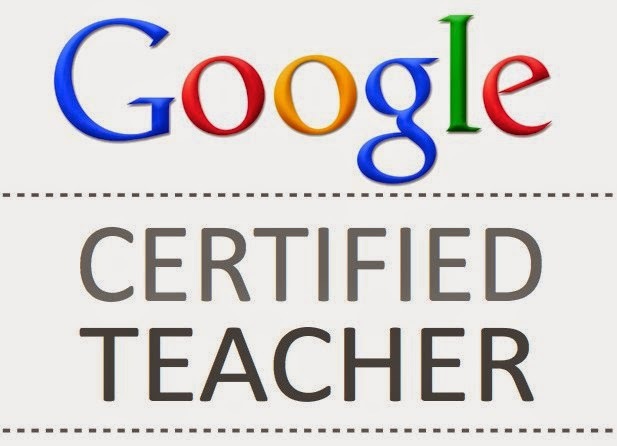 These connections have deeply impacted my students' learning and have provided them (and me!) with some really cool and unforgettable memories. Because of Skype, my students have become more curious about the world and see the value in connecting and learning with others beyond our classroom walls. Last week, we had a fantastic opportunity to participate in the Skype Read Aloud program. Actress Bree Turner read to us Maurice Sendak's classic Where the Wild Things Are. This is a well-loved book in our classroom library, and we were very happy to hear it read by a professional. My students were absolutely enthralled during our call, and they loved how expressive Bree was in her reading. After the read aloud was finished, we had some time to chat with Bree. We learned about her life as an actress and how she got into the business. Students enjoyed hearing about her early career as a dancer and her journey into film and television. Bree talked a little about her character on Grimm and what she likes most about being an actress. She also talked with my students about having brothers, being a mom, and her many travels abroad. My girls were especially jealous of her dinner at the Eiffel Tower! Finally, we learned a few fun facts: her favorite books as a child were Amelia Bedelia and The Egypt Game, her father was a professional football player, and she collects cuckoo clocks! Bree finished off the call by giving my students some great advice to keep reading and work hard for their dreams. Thank you, Bree, for taking the time out of your day to read and talk with my students. You were incredibly sincere and I appreciate how you honored and validated their questions and comments. My students felt as if they had actually met you, and it was clear to them that you cared about their education. That's pretty awesome. 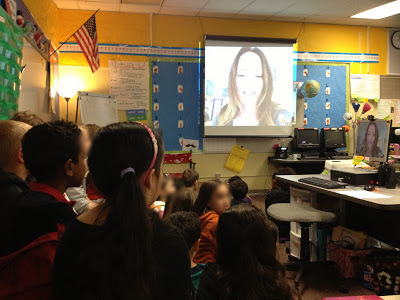 Many thanks to Skype for connecting us with Bree, as well as for providing every student with a copy of Where the Wild Things Are, and upgrading our old webcam to a fancy new Logitech HD camera! This new technology will allow us to see our new friends much more clearly and let us continue connecting with others for many years to come! These kind gestures have truly impacted my students and my classroom. Thank you from the bottom of my heart, Skype!